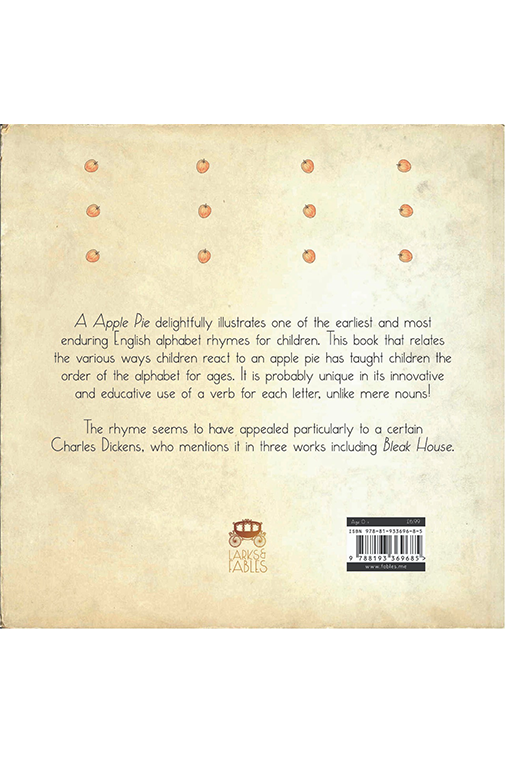 A Apple Pie delightfully illustrates one of the earliest and most enduring English alphabet rhymes for children. The rhyme seems to have appealed particularly to a certain Charles Dickens, who mentions it in three works including Bleak House. Catherine Greenaway was a Victorian children’s book illustrator and writer whose work influenced the children’s style of the day. 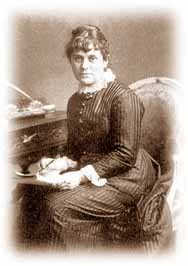 The only daughter of a successful draftsman and wood engraver, she studied graphic design and art. Her first book, “Under the Window” was an instant best seller and brought her celebrity, and was followed by the equally popular and critically successful “The Birthday Book”, Mother Goose and “Little Ann”. 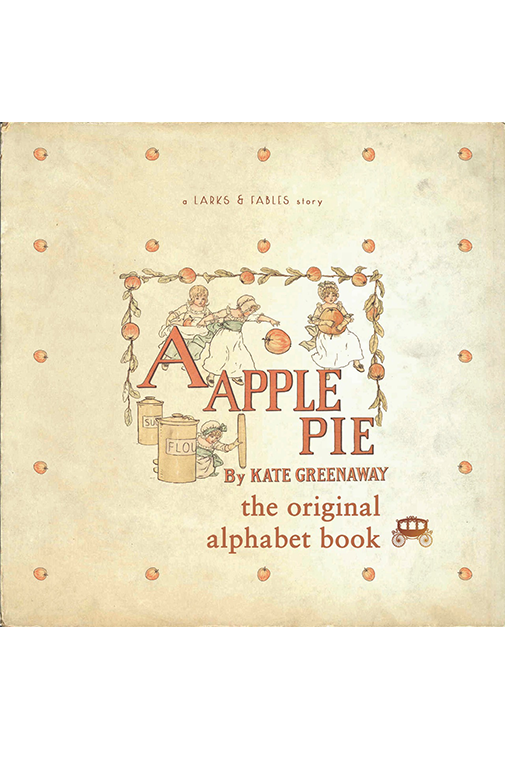 Concurrently, she developed a career as a water-colourist; with illustrators Walter Crane and Randolph Caldecott, Greenaway’s work revolutionized the children’s book market.